Moving into a dorm is such an exciting time! It can also be nerve-wracking to leaving home for the first time. 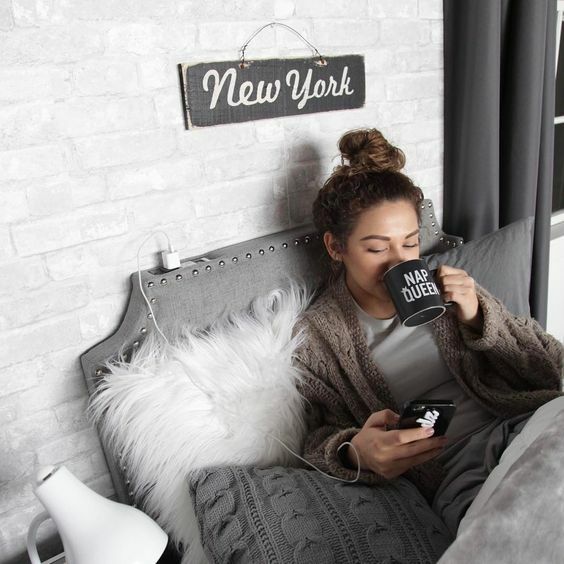 To help those nerves go away and let you settle in even faster, we’ve put together our best tips to make your dorm room feel like home. Other than meeting tons of new friends and taking classes of your choice, one of the most exciting parts of moving into college is getting to decorate your dorm room. It’s a clean slate that will allow you to express your own style. 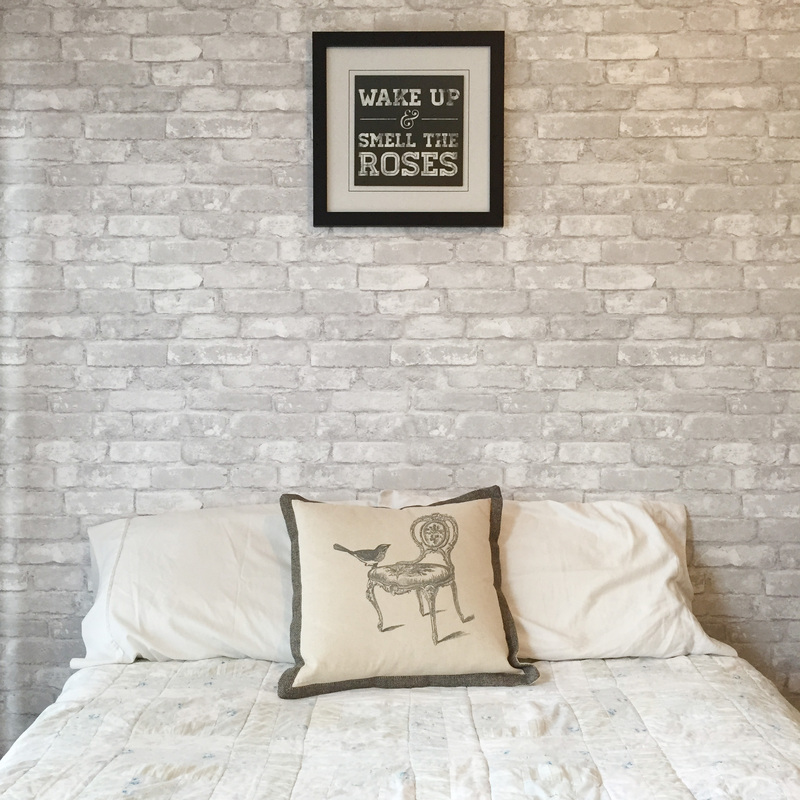 While the constraints of small rooms and school-supplied furniture can be a difficult design challenge, we believe it is totally possible to make your dorm room stylish, comfortable, and functional. Get a mattress pad. Seriously, they make the difference between tossing and turning on a creaky twin-xl or sleeping like a baby. They’re relatively inexpensive and will make your bed 1000 times more comfortable. In a dorm room, there is no such thing as free space, so it’s important to keep your things tucked away. This will avoid feeling like you live in a storage closet and getting dirty looks from your roommate over piles of dirty laundry and empty bags of chips. 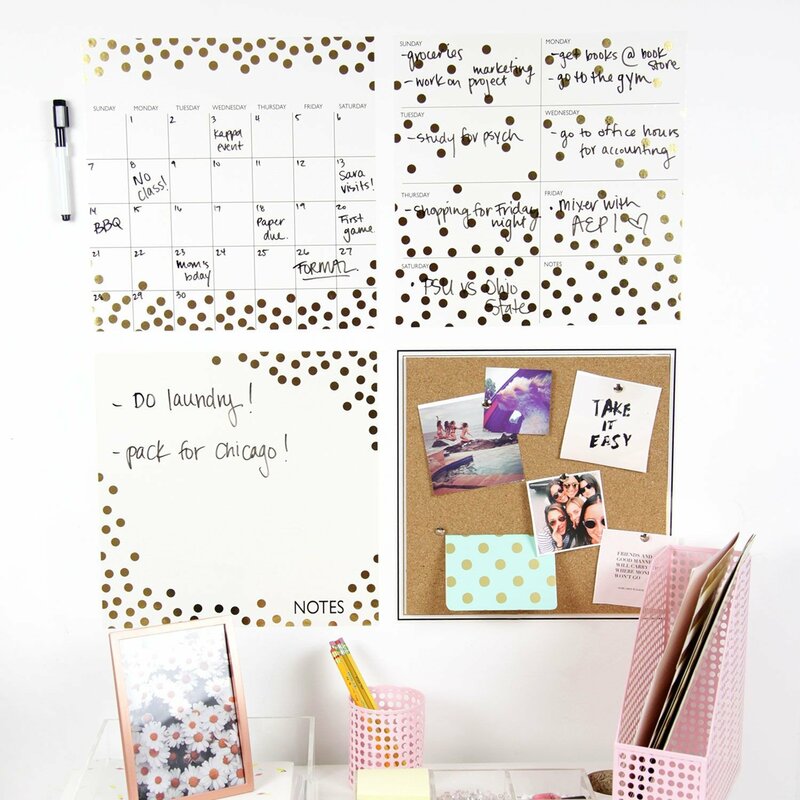 Organize your schedule and stay on top of your assignments with an easy-to-update dry erase calendar set. This visual reminder will make sure you don’t forget about a random paper or reading assignment. There isn’t going to be much floor space in your dorm room, so this leaves most of the pizzazz for the vertical areas. Creating a gallery wall is an easy way to display photos. Our photo clip string lights make it easy to display your favorite pictures. A wall tapestry can help to cover up harsh cinder block walls. Softness equals coziness. Add a fuzzy throw blanket to your bed for nights when you just want to curl up…or when it gets cold in October and they haven’t turned the heat on yet. Cover up those linoleum tiles with a cute rug. Not only will this add color and softness, it will make getting dressed on those cold winter days a little nicer. Just make sure you coordinate with your roommate! 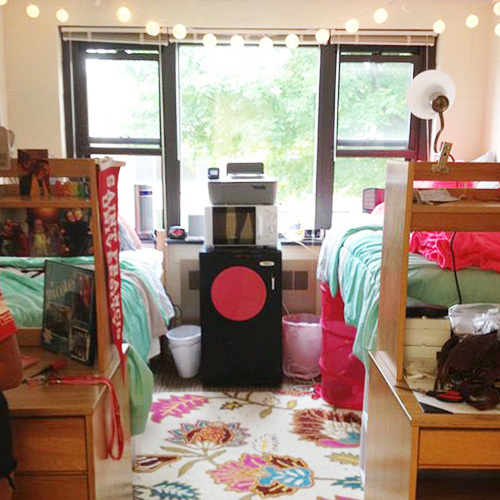 What are your favorite ways to decorate your dorm room?